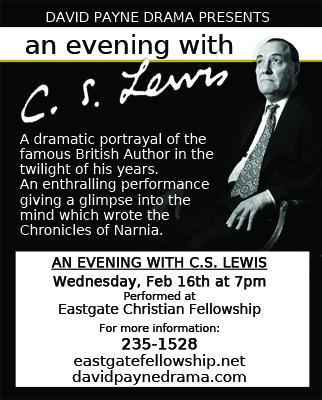 Don’t Forget “An Evening with C.S. Lewis”! This Wednesday be sure to come see David Payne’s portrayal of C.S. Lewis!